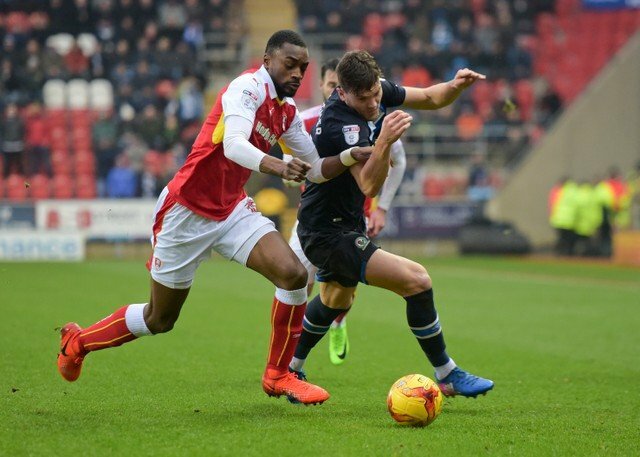 Rotherham United defender Semi Ajayi has been called up for the Nigeria side who are due to play the Seychelles. Semi joined the Millers in January 2017 initially on loan from Cardiff City making his debut the day after arriving. His first goal came the following month in just seconds after the start of our EFL Cup game away at Huddersfield. Unfortunately, Town went on to score two. He scored five goals in total last season and helped the Millers to a Wembley win in the League One Play-Off Final in May. The tall defender came through the Youth Ranks at Charlton Athletic and went on to play in the Arsenal Academy going on to play for their U21 side before joining Cardiff in 2015. This season Semi has appeared in every Millers game in the Championship scoring again in the EFL Cup in our three-one home win over Wigan. The twenty-four year old already has caps for his country at U20 level. ‘Well Done, Semi’ from all at Vital Rotherham.